Real estate has remained one of the few sectors relatively untouched by technology until recently. 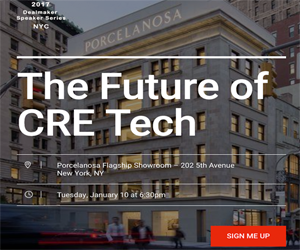 While virtually every other sector has been able to take advantage of modern technology to monetize everything from websites to social media posts, real estate has been the lone holdout. At least, until now. Recently, ListTrac revealed a new revenue model that would allow real estate professionals to monetize their listing content as it is disseminated online. ListTrac, which has earned a reputation as the Google Analytics for real estate listings, may have revolutionized the real estate industry with just this one move. According to the firm, it only makes sense that real estate professionals should receive a monetary reward when their listings are viewed online, similar to the way in which musicians receive financial compensation when their songs are played online. As a free tool, ListTrac gives real estate professionals the opportunity to monitor the performance of their listings online within IDX websites, their MLS systems, and real estate portals. The tool has grown rapidly, largely due to the way in which it has partnered with some of the largest Multiple Listing Service firms in the country. As a result, ListTrac has been able to provide reports and listing metrics to almost half a million agents. Until the release of this new tool, real estate professionals have been forced to sit on the sidelines and watch as practically every other company in the world leveraged business models that allowed them to monetize their online content. With the release of its new program, ListTrac is hoping to change that paradigm by introducing an infrastructure that finally provides real estate professionals with the ability to not only monitor but also monetize their online listing content. As part of the process of launching the new tool, ListTrac underwent stringent efforts to ensure that personal information would not be shared and that MLS listing content would not be sold or licensed as part of the monetization program. ListTrac, which received a U.S. Patent for monetizing and measuring real estate listings, has proven to be a unique driving force in the real estate industry. Through its patented process, ListTrac is not only giving real estate professionals additional revenue opportunities, it is also making it possible for agents to reach consumers in a more precise manner. Since personally identifiable information is not required and no confidential information is collected by ListTrac, both consumers and real estate professionals are able to benefit. The use of a single dashboard makes it possible for real estate professionals to see all of the websites on which a property is viewed, while also providing brokers and agents with the opportunity to monitor a variety of metrics, including when listings are viewed, the average amount of time that visitors spend viewing each listing, and more. All such metrics can also be shared with sellers. The new monetization business model is slated to be implemented by the end of the year and to begin generating revenue by early next year.